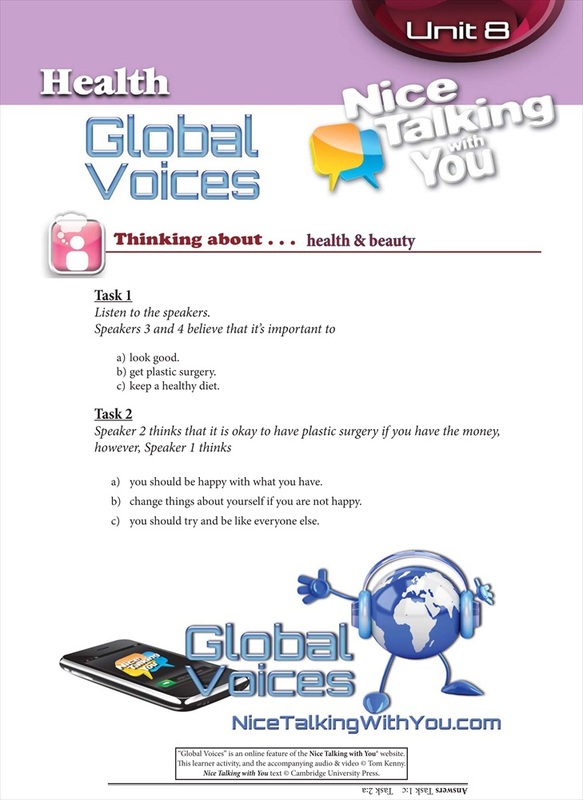 Global Voices is a collage of monologues that showcases the great varieties of world English. Hear British, Australian, and New Zealand accents mixed in with excellent non-native speakers from Asia, South America, Africa and Europe. Students can practice listening to the varieties of English pronunciation, pick up new vocabulary, and extend their inter-cultural awareness.